While Nordstrom's Space section has been around for several years now, I find myself regularly wondering how everyone doesn’t know about (and shop) it, especially due to the fact that it gets better just about every time I check it out. With new It designers added regularly—including Nanushka, Cult Gaia, Jacquemus, Acne Studios, Beaufille, Eckhaus Latta, Shrimps, Sandy Liang, Vetements, and more—the "shop for emerging and advanced designers" gives you the same selection you'd find at the trendiest boutiques, combined with the ease of shopping at (and, if needed, returning to) Nordstrom. I mean, honestly, what's better than that? 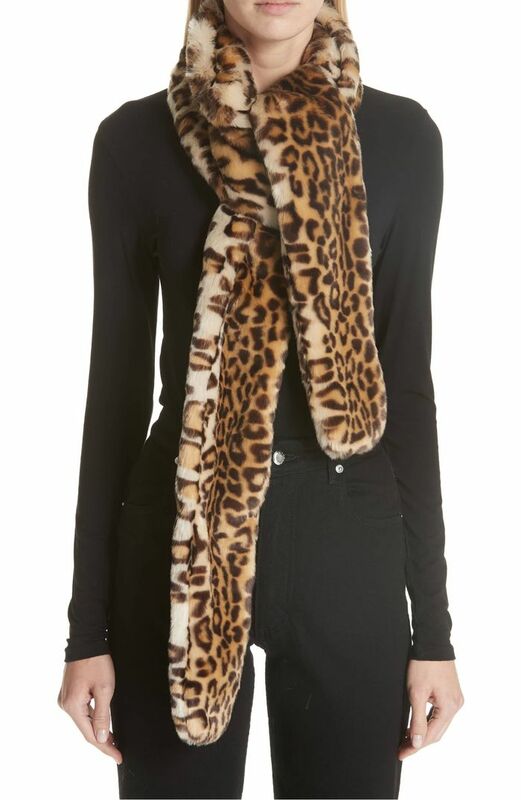 No one does faux fur like Shrimps. Now, that's a standout coat. A classic worth investing in. A statement coat that's still classic. Might just need the matching pants too. I'm so glad hair accessories are having a resurgence right now. Celebrities are obsessed with this sunglasses collab. Ganni's sheer turtlenecks are perfect for fall layering. Update your hoops with a statement pair. A true fashion girl's diamond ring. Add a pop of color to your jewelry collection. This dress is winning Paris Fashion Week. Cult Gaia's bags just keep getting cooler. An everyday black bag you won't get sick of. Not over belt bags just yet. Just big enough to hold all your essentials, but still mini. Tie-dye pants for the win. Khaite's denim has a cult following. I imagine these are next-level comfortable. I'm very into this update on the PVC trend. Who knew corduroy boots could look so cool? Up next? The classic lingerie styles every woman should own.